What's on at Street Eat? 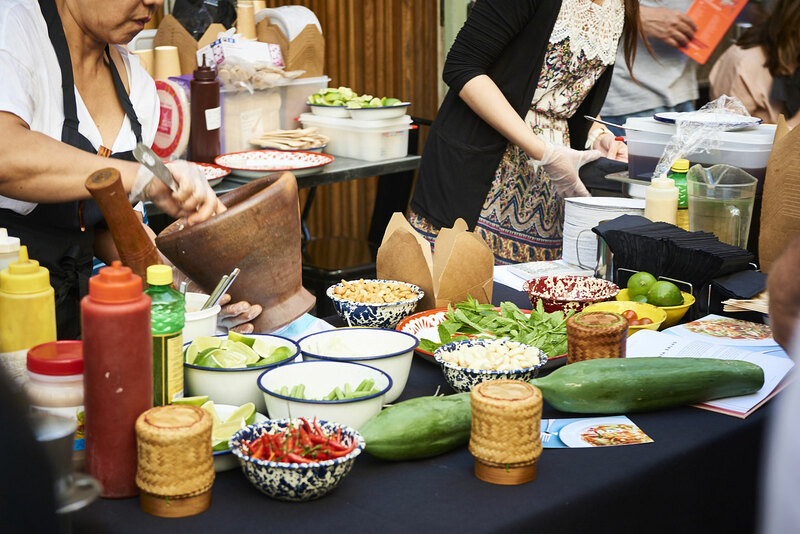 From chargrilled chorizo burgers to Korean fried chicken, blackberry prosecco slushies to Soju Aperol Spritz’, this years’ Carnaby Street Eat is a foodie’s Shangri-La. See which restaurants are taking part in the food festival below. Taste their signature doughnuts bursting with various, delicious sweet filings, from blueberry jam to salted caramel. The 1940s cocktail bar will be serving up Ketel One Vodka cocktails and putting on some great shows on the day. Expect swing dancing (which you can join in with) and live music from the Hotsie Totsies. 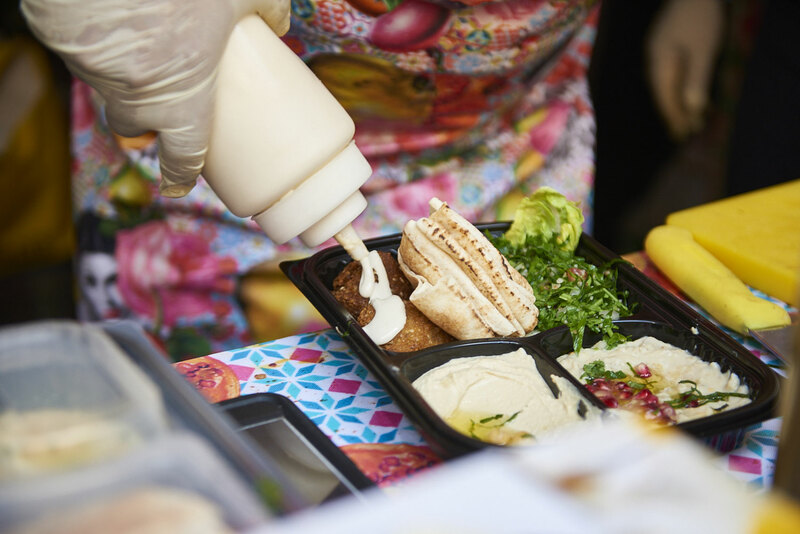 Zebrano will be serving up a selection of; chicken and chorizo skewers, lamb skewers, halloumi and aubergine skewers, mushroom burger, beef burger, chicken burger, halloumi burger, beers and aperitifs. Cool down with two frozen cocktails at £6 each. Seafood connoisseurs will be offering up their famous crab and lobster rolls along with crab on fries, regular fries, rum punch, beer and wine cocktails. Discover a mélange of Indian street food, from Channa chaat and puchkas to bhei puri and dahi vada. Wash down with a refreshing mango chilli soda. Spanish and Italian fusion restaurant Dehesa will be serving up chargrilled chorizo burgers, Peroni beer and refreshing alcoholic ice lollies. Opt for some greasy comfort food with the MacDaddy sliders and a Mutts Nutts cocktail containing Woodford Reserve bourbon. Serving up a Japanese and Korean feast of avocado, quinoa, edamame, green bean salads, beef cheeks with spicy Korean miso, charred coconut soft serve with soy, pocky and Japanese granola plus their signature INKO Spritz cocktail. 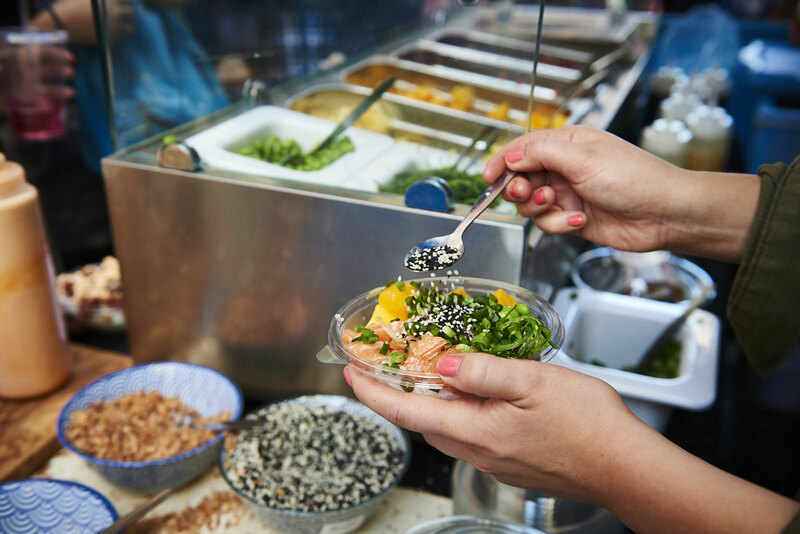 Chow down on nutritious Hawaiian poke bowls: yuzu lomi lomi, classic ahi, market bowl (v). 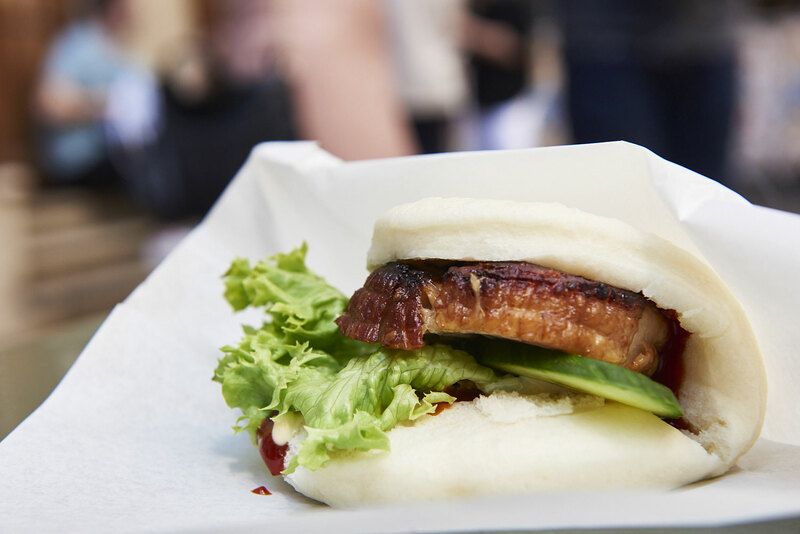 Don't miss out on JinJuu's finest Korean fried chicken burgers, pork belly steamed buns and shaved flavoured ice-dairy products. Serving up their lengendary Hawaiian cheeseburgers, teriyaki chicken burgers, longboard lager and big wave golden ale. 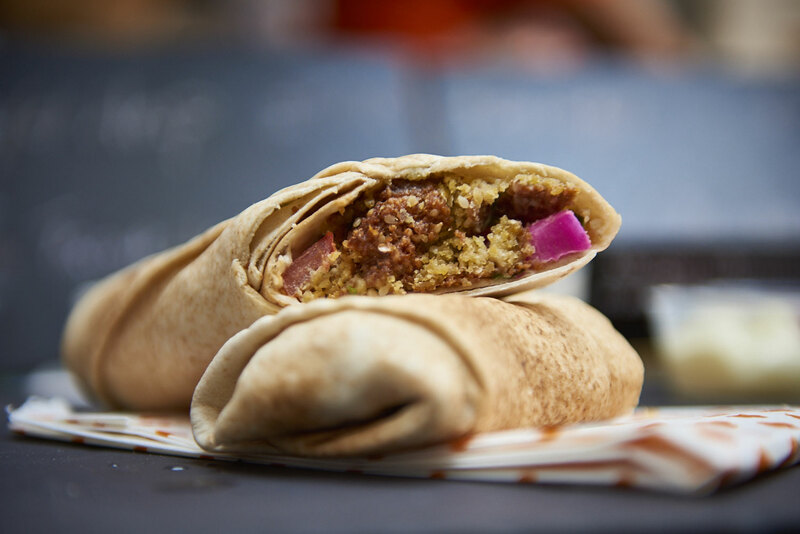 Discover gourmet kebab house Le Bab as they serve up their smoked chilli hummus, chicken kebab, falafel kebab, fries, mojitos and soft drinks. If you're after a traditional British dish, head to Mother Mash for a hearty meal of sausages and mash. Serving up traditional Korean dishes, from chicken dumplings and beef bulgogi to spicy chicken. Pasta lovers should head to Pastaio's terrace where they will be cooking; cacio pepe Bucatini, slow cooked tomato, marjoram, parmesan Rigatoni. They will also be serving up their famous lemon prosecco and blackberry prosecco slushies. 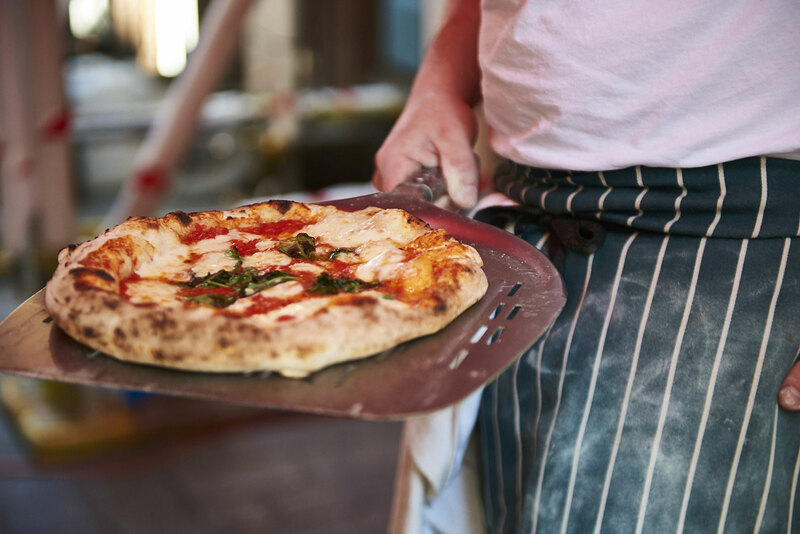 Pizza fans can head to Pizza Pilgrims' stall for delicious slices of pizza, Limoncello and tonic and Prosecco spritz. Fancy a taste of northern Italy? Polpo will be offering up asparagus, pea and ricotta crostini's and of course, Aperol and Campari spritz. Looking for some tasty Thai cuisine? Rosa's will be serving traditional papaya salad, fresh summer rolls, Chang beer, Thai iced lemon tea and Thai milk tea. Hot dogs and beers, so simple yet so satisfying. If it's a hearty bowl of ramen you're after, head to the Shoryu's stall where they will be serving up tonkostu ramen along with shoryu buns. Spanish tapas restaurant, Brindisa will be offering delectable Chorizo rolls, beer and wine. Grab a healthy and nutritious £5 box of salad, veg and protein. 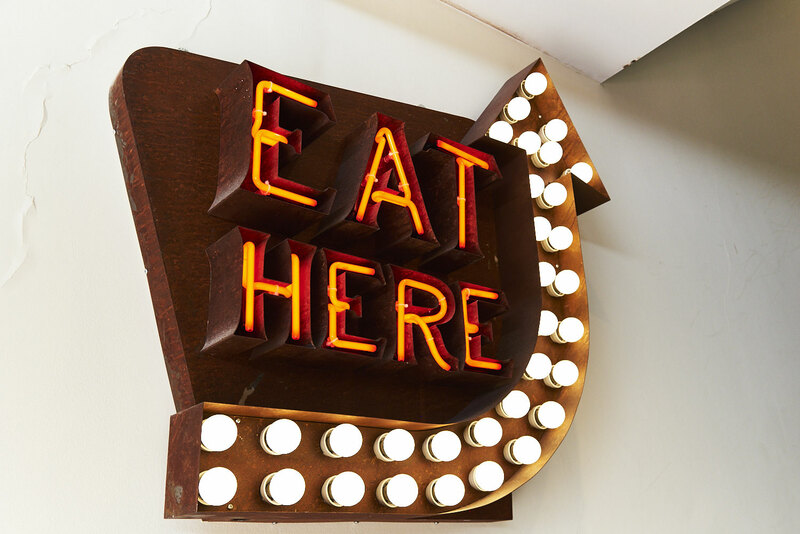 American comfort food at its finest, The Diner will be serving up burgers, corn dogs and beer. This Greek deli will be offering healthy Souvlaki, salads, Greek meze and wine. Ugly Dumpling will be cooking up duck, pork belly, prawn and chive, chick satau, spinach and tofu dumplings and vegetable noodles. Looking for some light café food? Urban Tea Rooms are serving up handmade individual quiche slices, cakes and cocktails. 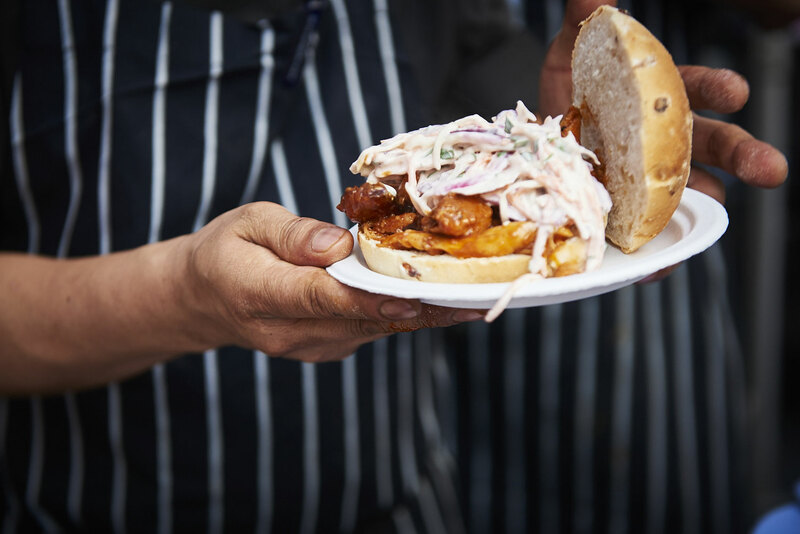 Chow down on a pulled chicken BBQ burger with coleslaw and a chilled beer from Whyte & Brown. 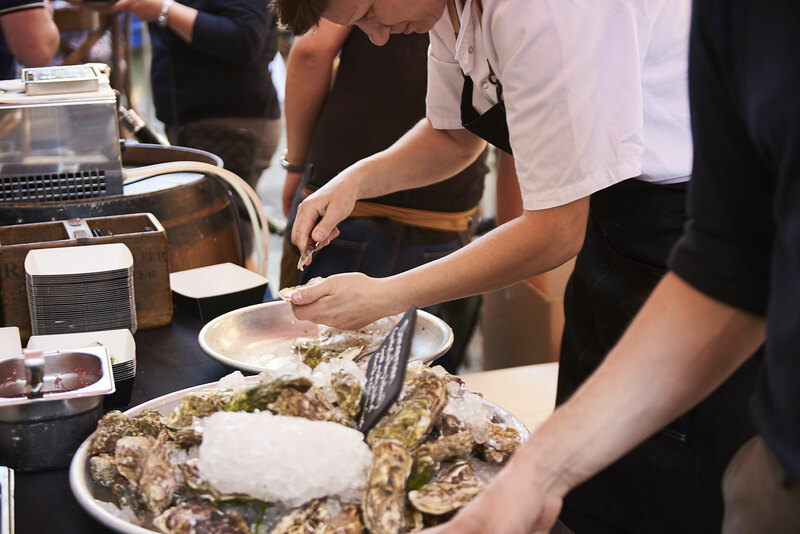 Fish specialists will be offering up oysters and chilled prosecco. Lomography are offering customers 20% off all plastic cameras and Lomography branded film, you can find them at 3 Newburgh Street. The fun-loving makeup brand Too Faced will be holding their "Cheers to 20 years" collection launch event in store at 46 Carnaby Street. The Swiss watchmaker Swatch will have refreshments to hand in-store this Saturday for visiting customers. You can find them at the Newburgh Quarter end of the picnic table. Jaded London and Blondies Kitchen will be collaborating this Saturday by giving out delicious miniature cookies and Wow juices. Using only vegan products, Urban Decay will be offering complimentary mini makeovers in-store. Luxury goods brand Shinola are offering customers 20% off their journals plus a complimentary bottle of Shinola Cola with every purchase. Souvenir specialist We Built This City is offering free marshmallow tasting in partnership with The Marshmallowist. Benefit will have their Brow Bar service at hand for anyone looking for a quick beauty fix. Pixi have got themselves an ice lolly cart to keep Carnaby refreshed. Flavours include; Caribbean Twist, Mango Raspberry Swirl, Oh So Berry, Alcoholic Piña Colada, Alcoholic Strawberry Mojito. Marshall Street Leisure Centre will be handing out flyers that will give Street Eat goers the opportunity to receive a complimentary wax and a 5-day pass that can be redeemed at the centre. 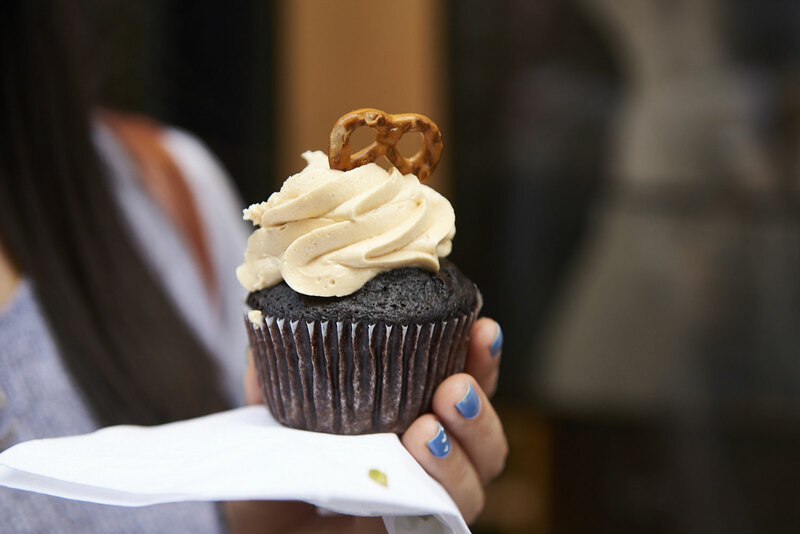 Over on Newburgh Street, Joy Everley will be giving away free cupcakes with every purchase made in-store. The new Spectrum Collections café on Carnaby Street are offering 20% off coffee and cakes on the day of Street Eat. 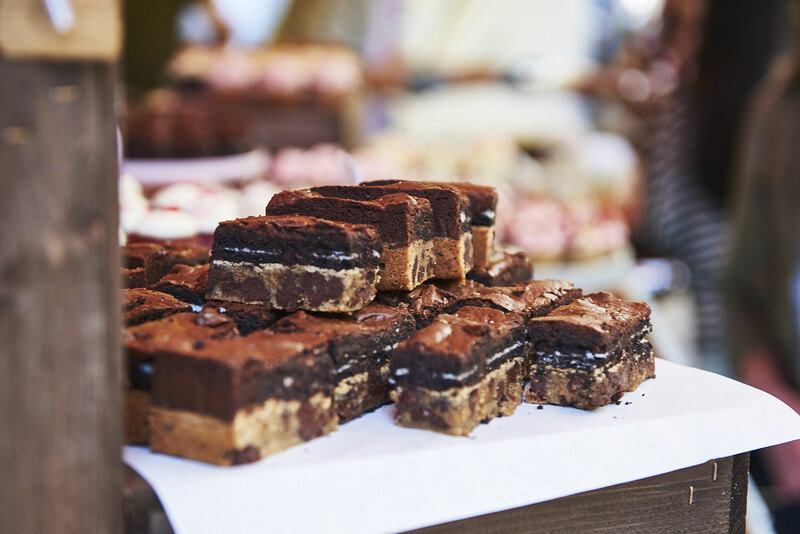 Stay tuned for all things #StreetEat at @CarnabyLondon.